The toy story continues! The Vinimates line dives deeper into the world of Kingdom Hearts with three new 4-inch vinyl figures based on the hit video game series. Organization 13 Mickey Mouse, in his black coat, is joined by his old rival Pete as well as Tron in his Tron-style outfit from Space Paranoids! 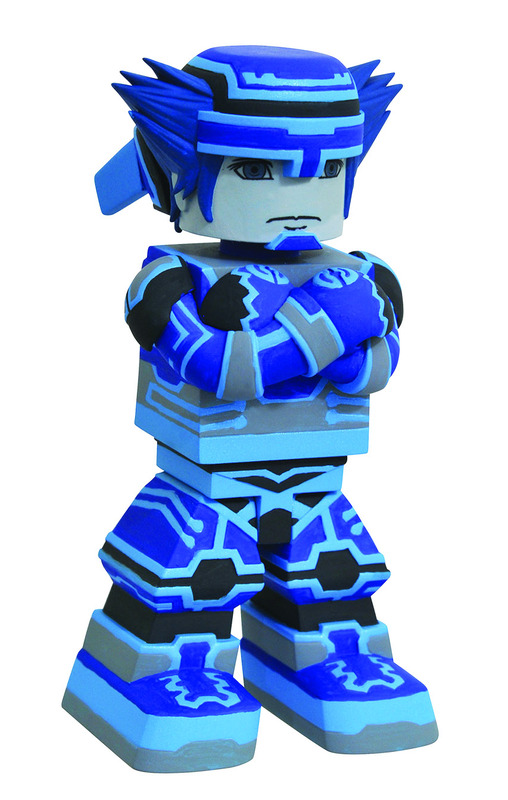 Each figure is sculpted in the block-figure style, striking a pose inspired by the game with a poseable head. Each comes packaged in a full-color window box. "I have been a Kingdom Hearts fan since the first game was released in 2002. I am really excited for these Vinimates. I wasn't planning on having a Vinimates collection, but it has slowly been growing as my favorite characters are released."